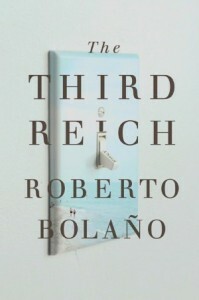 An early novel written in 1989 and found among the papers of Chilean novelist Roberto Bolano after his premature death in 2003, The Third Reich, is an odd but often mesmerizing story of obsession—specifically with the playing of a war game based on the actions taken by the German Reich during World War II. Udo Berger, the German national champion of this highly competitive and addictive game, is a young man, barely out of his teens, when he and his lover, the gorgeous but shallow Ingeborg, take a vacation to the Costa Brava, where Udo used to vacation as a child. 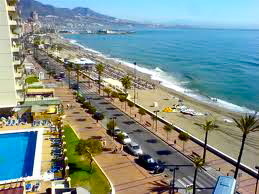 They stay at the Hotel Del Mar, the small hotel where his family stayed, and where he has vivid memories of Frau Else, the hotel’s owner, a lovely woman about whom has had childhood fantasies and longings. Shortly after their arrival, they meet Charly, a mechanic, and Hanna, fellow Germans also on vacation, who are staying at a hotel nearby. Their meeting seems fortuitous for Inge, since Charly and Hanna are out for a good time, with non-stop drinking and partying, and Udo would rather stay in his room. He has demanded a five foot table so he can set up a game, The Third Reich, where he pores over strategy while trying to write an article for publication in a magazine for those addicted as he is. Inge often goes off with Charly and Hanna, whether to the beach, to Barcelona, or to nightclubs, where they soon become friends with two low-lifes, Wolf and the Lamb, through whom Udo also meets El Quemado, who owns one of the paddleboat concessions along the beach. “El Quemado,” which translates as “the burning,” is a former soldier who is grotesquely burned on his head and upper body, and though he is untutored, he soon becomes as avid a player of The Third Reich as Udo. Inge, bored and embarrassed by Udo’s talk of the game while they are on the beach, gravitates toward the action which Charly and Hanna seek. As Udo and El Quemado replay the Second World War late at night while the others are out, they employ all the resources available to both sides, using counters on a hexagonal table and playing a purely strategic game – much like chess – without any of the ideology behind the war. Udo is stunned by the proficiency which El Quemado demonstrates, and he is hard pressed to remember some of the strategies which the Germans employed during the war and the counterstrategies of the Allies. El Quemado proves to be a worthy challenger to the German national champion, and the game becomes more and more serious. Beginning on August 20, presumably in or about 1989, the novel moves as a day by day journal from then until September 12. At that point, the chronology shifts to “Summer, 1942” a signal that the on-going game between Udo and El Quemado has hit a crisis, then continues normally to September 14, then back to “Anzio. Fortress Europa. Omaha Beachhead. Summer 1942.” The moves and countermoves of the game are given in great detail, and several more chapters of game-playing continue before the narrative returns to the normal chronology and continues by date with the narrative chronology paralleling the intensity of the game of the Third Reich and the psychological involvement, if not obsession, of Udo with the game as a substitute for his own life. While Udo is involved with all this, real life is taking place in the real world. One of the other characters disappears and is presumed dead, the women face possibly life-threatening crises and assaults, and suggestions of real, on-going evil pervade the action on all levels. Ultimately, the novel takes on some of the themes and, certainly, the tone of the German Faust legend, in which an academic sold his soul for unlimited knowledge and pleasure. Udo, he champion, playing the role of the Germans, resembles the intelligent but somewhat naïve Faust, and El Quemado, “the burning” or “the burned one,” playing the Allies, resembles the devil, at least from Udo’s point of view. Udo receives warnings in his dreams from Florian Linden, the imaginary detective in one of Inge’s romance novels, and at one point he cannot see his own reflection in a mirror. He says, at one point, that “I feel something intangible, strange, circling around me in a threatening way…A higher force keeping watch over me.” Considering the amount of paranoia that Udo has shown, the nature of the “higher force” is a mystery. Ultimately, the Faust parallels, though intriguing and atmospheric, are not complete, however, and the reader is left without a sense of real resolution. 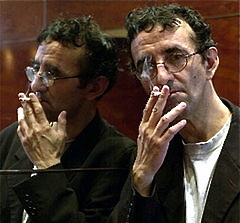 Overall, the novel is fun to read, if you are already a fan of Bolano, and fun to read, too, if you are new to Bolano, though it is important to recognize that this is a very early novel which Bolano himself decided not to publish during his lifetime. Though some critics see early hints of Bolano’s later preoccupation with memory as a theme, I saw little of this here, no more than I would have expected to see in any other novel in which someone returns to a place where he had vacationed frequently as a child. For me the interest was in the conflict between Udo and El Quemado and what it might have represented on a grander scale, as symbolized by the game of the Third Reich, with Faustian overtones. The whole concept of obsession so dominating a person or group of people that it controls their entire raison d’etre is a fascinating one, certainly one we saw with the real Third Reich, though the description of the game and its moves is less interesting , if not dull. Had the subordinate characters been more fully developed and more plausible (the idea of the lusty and gorgeous Ingeborg caring for Udo strains credulity), the novel would have been stronger, but overall, this lesser Bolano was more fun to read and more interesting than many contemporary novels by lesser authors.